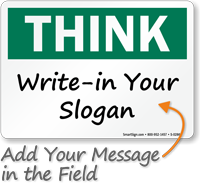 Think signs are an ideal way to make the audience aware of their actions. 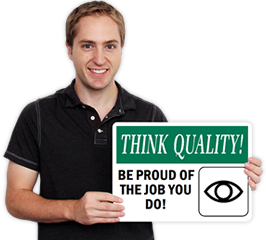 Our Custom Think Quality Signs and Custom Think Signs ask your workers to keep quality in their minds at all times. Constant reminders in the way of signs also reinforce your quality control initiatives. • Make a bigger impact by adding your custom wording to signs. Add text, graphics to create the perfect custom think quality sign for your facility. • Made from heavy-duty aluminum, signs stand the test of time and last for 10 years or more! Choose glow aluminum for dimly lit areas. 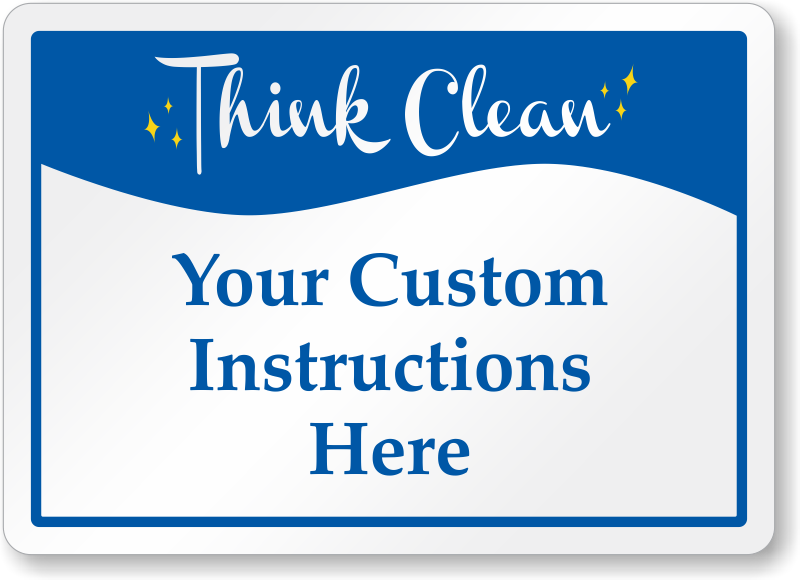 • Custom Think Quality Signs are resistant to high temperatures, abrasion, fading, chemical spills and more. • Best prices on the web. When you buy from us, you get a high quality sign at an unbelievably low price! looks good, and very effective.